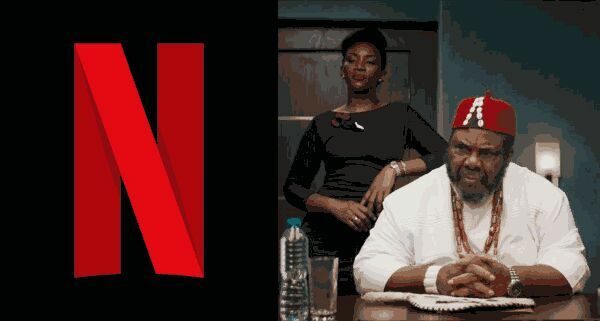 Lawrencia Udife's Blog: Netflix Acquires Genevieve Nnaji’s Movie "Lion Heart"
Netflix Acquires Genevieve Nnaji’s Movie "Lion Heart"
American media services provider, Netflix has reportedly bought Genevieve Nnaji’s movie Lion Heart, on the eve of its world premiere at the Toronto International Film Festival. Complications arise when they discover that the family business is in dire financial straits, leading to absurd results as they try to save the company. The film also touches on everyday sexism that saturates the workplace, as well as the delicate balance between honoring one’s family while finding the courage to strike out on one’s own. The movie which is produced by T.E.N.— The Entertainment Network, was written by Genevieve Nnaji, Chinny Onwugbenu, Ishaya Bako, Emil Garuba, and C.J. Obasi. The movie is also the veteran actress’ directorial debut. Genevieve Nnaji, an actress who has an undeniable star power, made her debut as a producer in 2015 with the movie “Road to Yesterday.” The movie raked in 30million naira at the box office. It is safe to say that the movie was that successful because of the name ‘Genevieve Nnaji.’ Also, the movie was her come-back after about four years and her fans couldn’t wait to get reacquainted with her acting skills.